ESO Supernova Exhibition — How are stars born? Stars are born when interstellar clouds of gas and dust start to contract under their own gravity. When there is enough matter, the pressure and temperature become high enough for nuclear reactions to ignite naturally. Twins: The system HK Tauri consists of two young stars. 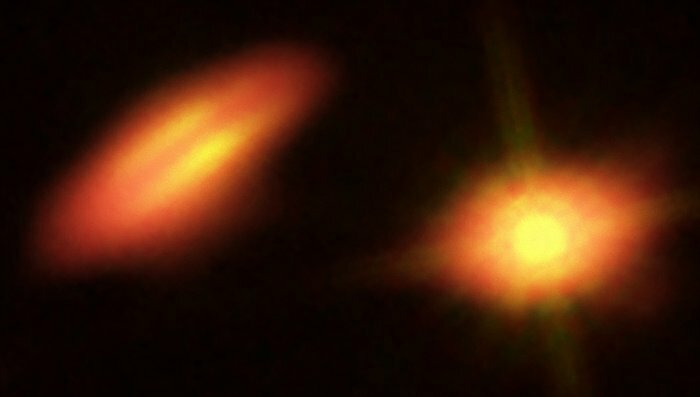 Both are surrounded by a protoplanetary disc, leftover from their formation and the potential birthplace of future planets. Spiral cradles: The spiral arms of galaxy Messier 83 are studded with large star-forming regions. They appear pink in this image. Pillars of creation: New suns form in pillars of dust, sculpted by the energetic radiation of slightly older stars. Clouds of cool molecular gas and dust abound in the spiral arms of galaxies like our own Milky Way. Triggered by turbulent motions or by nearby supernova explosions, these clouds may start to collapse under their own gravity. Large clouds fragment into smaller ones, leading to the formation of huge clusters of stars. When a star-forming cloud fragments further at a later stage, a binary or multiple star system may form. To see the birth of stars, astronomers look at the infrared light to peer through the surrounding clouds of dust. 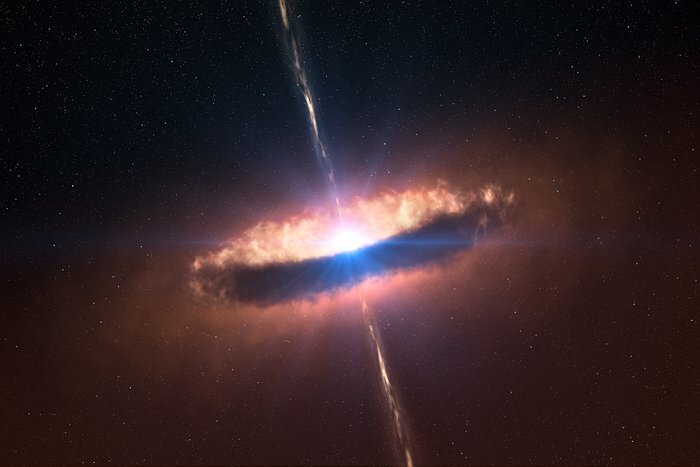 Protostar growth: Will this young protostar collect enough gas and dust from its surroundings before the material is blown away by stellar winds from neighbouring stars? Clouded out: Interstellar clouds of gas and dust contract, flattening and spinning faster while they do so. A star is finally born in the centre; planets may form from the disc of leftover material. A huge cloud of gas and dust is all you need to make a star. Gravity does the rest. It pulls the gas and dust together to make a glowing ball — a protostar. Eventually, the nuclear fire starts in its core and the star begins to shine.